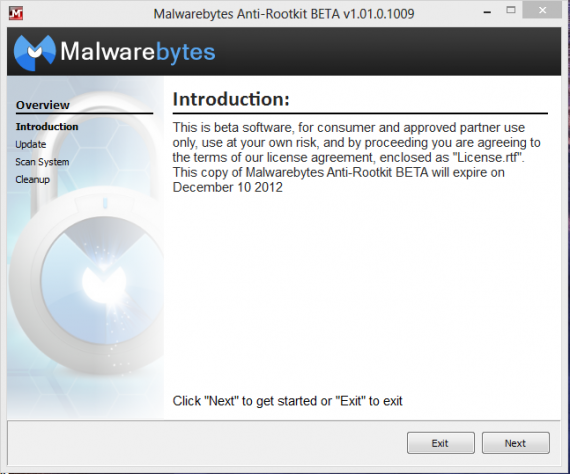 Malwarebytes releases a beta version of their Anti-Rootkit product. 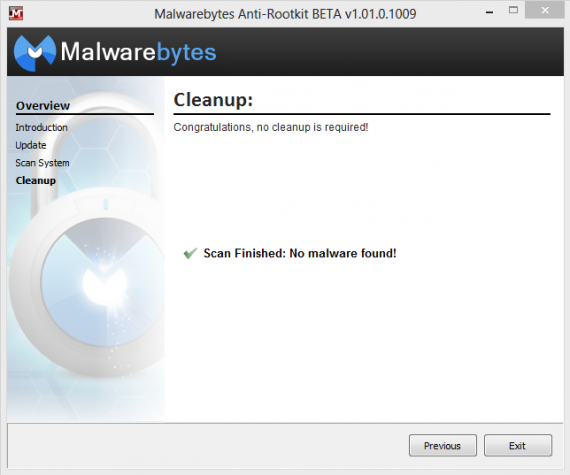 Malwarebytes is a very popular company known for their powerful Anti-Malware software, now they have developed a new product for dealing with another form of computer threats, Root-kits. now you may question, Isn’t my Anti-virus software enough? Anti-virus softwares can certainly prevent root-kits from infecting your computer, but there are a few root-kits which may have infected your system and goes by unnoticed by your Anti-virus. 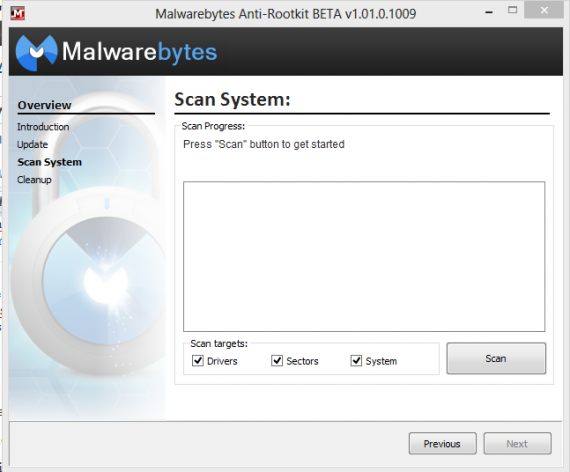 Malwarebytes Anti-Rootkit BETA is cutting edge technology for detecting and removing the nastiest malicious rootkits. We are not sure if MB Anti-Rootkit will come in Free/Pro versions like the Anti-Malware, where the pro version offers real-time protection. Here is a quick review of their latest product. I just had to run MBAR.exe after extracting the files to a folder and this is what it looks like at first glance. The first thing that I did was to check for Updates to the database and it found one and started downloading it, although it did not display the size of the update or the downloading speed. I started a scan with the default options selected and it took a little over 10 minutes for scanning my computer’s hard drive. The result was clean as expected but it did not open up a log file after the scan ended like Malwarebytes Anti-Malware does. But I did find a scan log saved as text file in the folder. Download the zip file from here and give it a whirl. 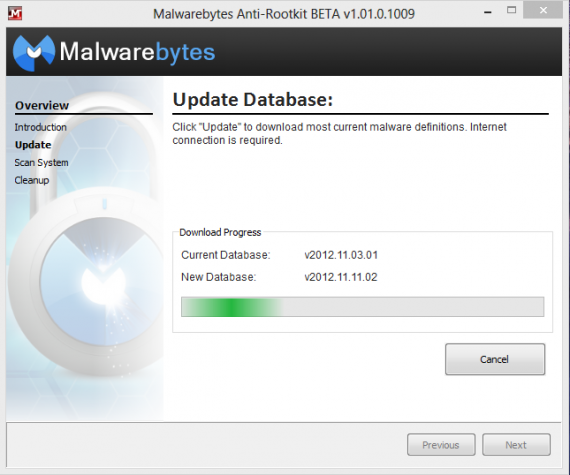 Note: This version of Malwarebytes Anti-rootkit will expire on December 10, 2012. Maybe they will release an updated version or even a stable version by then. Disclaimer: Please note that it is an unfinished product and as such you should not try it on your primary computer, unless you have a backup of your data. If you are using this product, please drop a comment below telling us about your experience with it. Thanks Malkhaz for the tip. Glad you liked it Mike.